Transplanting lemon trees, whether they are fully grown outdoor trees or smaller potted trees, is a delicate task. Lemon and other citrus trees require a great deal of care. If you live in a cold or cooler climate, transplanting in late spring or summer is recommended. If you live in a warmer climate, transplanting a lemon tree in early spring is best. 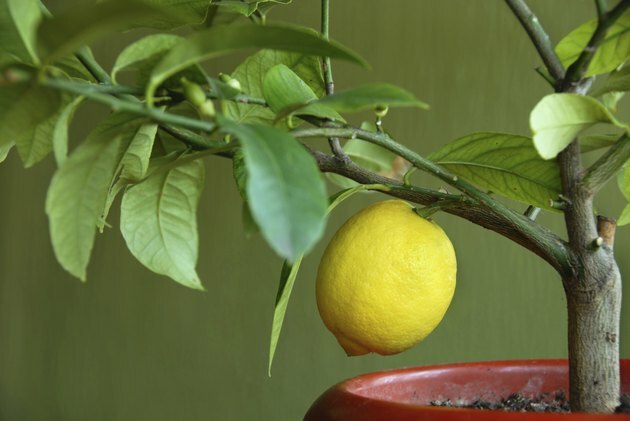 For smaller, potted lemon trees, experts recommend that the trees be transplanted about once every year. It is important to select the right kind of pot. You don't want tree roots to get trapped in the pot, as this will make transplanting the tree more difficult the next time. Make sure you select a pot that lets moisture out of the bottom so that the roots don't sit soaking in water. 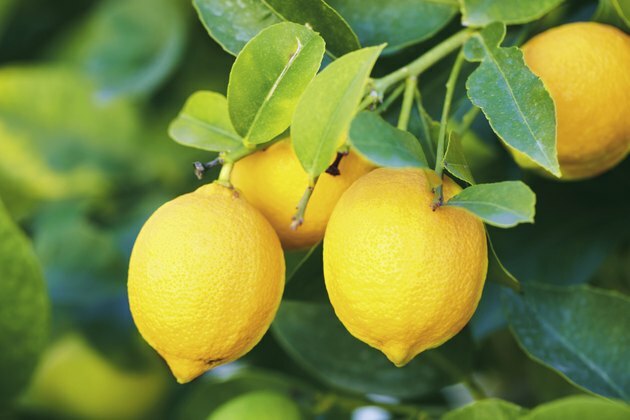 Lemon trees that soak in water can develop a fungal disease called wet root rot. 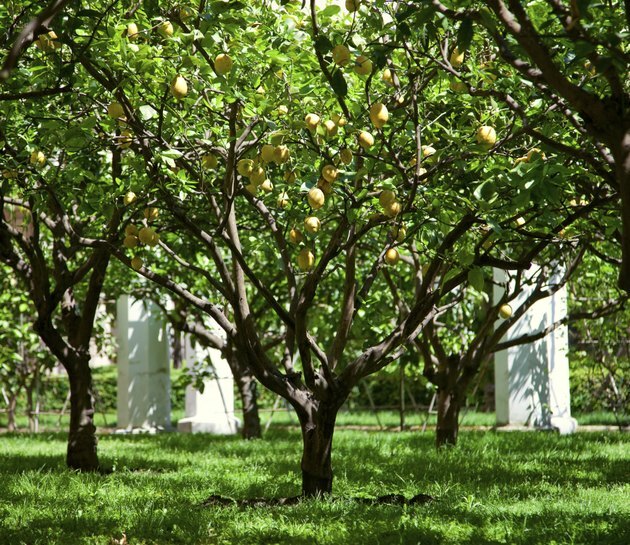 Larger, outdoor, mature lemon trees will survive better if transplanted in the early spring, according to http://www.rittenhouse.ca/hortmag/Bruce/Harvesting.asp. Fertilizing and selecting the proper location for the tree is another concern. Trim lemon tree roots before you transplant the tree, to encourage new root growth in the new location. For smaller potted in-home trees, make sure they are situated by a window that gets the most sunlight possible. Lemon trees are tropical trees that thrive with a lot of sunlight. Do not use heat lamps on lemon trees, or over water them. Too much heat and water can kill or stunt tree growth. Outdoors, lemon trees should be planted in a sunny location. When possible, transplant the tree in an area where the ground level is about the same as where the tree is being moved from. Planting the lemon tree near water is not a good idea. When your lemon tree sprouts fruit, leave the fruit on the tree as long as possible. The longer you leave the fruit to ripen, the better it will taste. 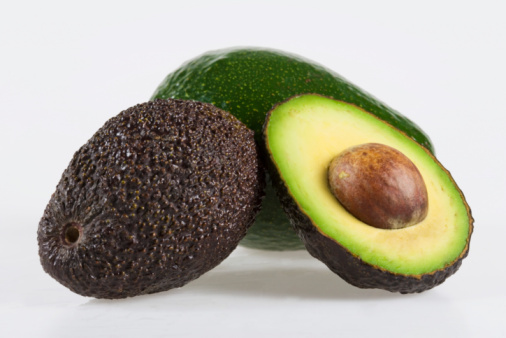 If the fruit starts to show spots or is rotting, remove the fruit from the tree and consult a professional gardener or landscaper. Rotting fruit is a sign that your tree may have wet tree rot.